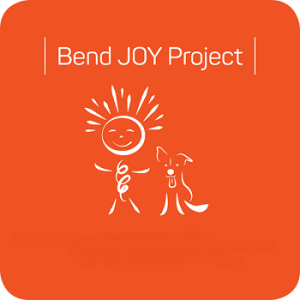 BEND, OR, USA, April 9, 2019 /EINPresswire.com/ -- Bend, Oregon community members and visitors have already seen new inspiration, messages and lots of orange popping up on social media and around town as part of the Bend JOY Project. Back for its third consecutive year, the project has recently launched a new program - a 10-Day Community Challenge. Designed to help individuals and families take a thoughtful approach to fostering joy and positivity, the Community Challenge includes a downloadable checklist to help guide meaningful moments. Many more events, activities and materials are spreading JOY through the spring in Bend, including inspirational messages on shareable bookmarks, social media, banners, billboards, daily text messages and more. The community is encouraged to get involved and many opportunities are available to incorporate JOY into the workplace, existing community events, schools, non-profit organization initiatives and other partnerships. Bend JOY Project materials - stickers, postcards, bookmark share cards and posters, for example - are available at the Ticket Mill in the Old Mill District through April.